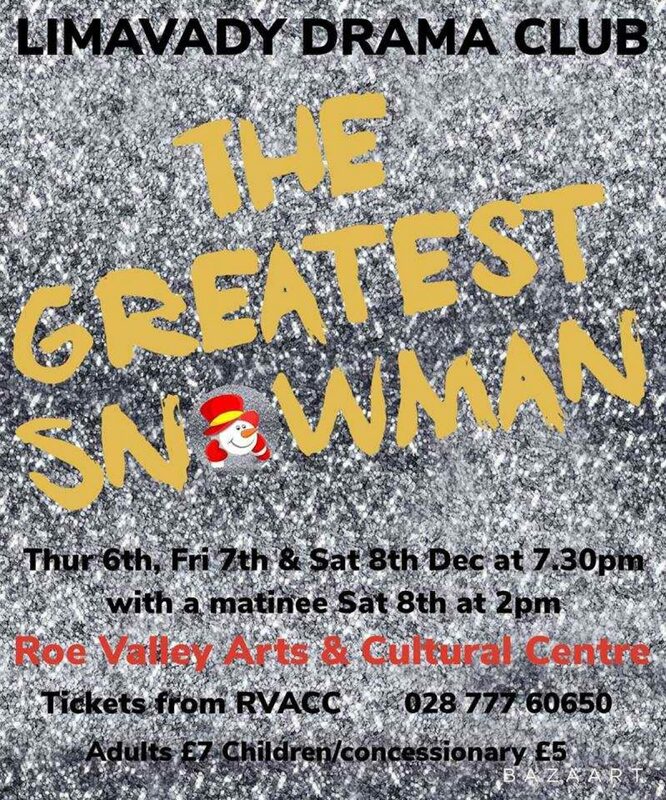 This year Limavady Drama Club present The Greatest Snowman on Thursday 6, Friday 7 and Saturday 8 December. Based on popular family favourites and popular hits from The Greatest Showman, the pantomime promises a magical pantomime experience for all the family. Tickets: £7 full / £5 concession.